I’ve had a number of collections over the years: baseball cards, action figures, Beanie Babies. Call me a child of the 80’s – everything was a collectors item back then. 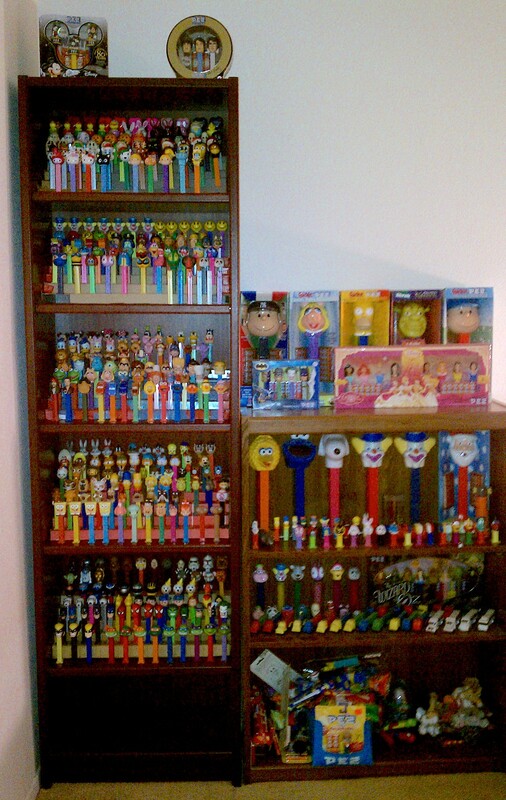 The one I’m most known for, however, is a Pez collection that was nearing 500 pieces in its prime. As an aspiring minimalist, I have been coming to terms with that collection over the past few years. It isn’t going to be able to be a big part of my life anymore. But at the same time, it isn’t easy to get rid of something I’ve invested time and energy into for over 20 years. Here are some tips I picked up on how to get rid of a collection in the least jarring way. Some I’ve learned from past collections that were easier to part with, and some I’m learning now. If you have come to the place where you are ready to move on from a collection, perhaps these tips can help you. Despite the fact that I’ll often refer to myself as a ‘minimalist’, I actually think there are plenty of cases where a collection can be justifiable. If it is something that brings you joy to look at often, if it is something that is truly valuable and building it is an for-profit activity for you or if you really enjoy the hobby of collecting – perhaps a collection is fine. There might even be a case for you being the historian – the sole archive of artifacts about a specific context. This will by nature not be true of any sort of toy, plate, etc. collection that is mass produced. I found that none of those was really true for me anymore. When I did collect, the first and last items were. Now, a Pez collection, as beautiful as it is, isn’t really what I prefer to focus my attention on visually. My collection wasn’t particularly valuable and I was never really building it for business reasons. Finally, I’m no longer in a stage of life where I want to devote free time to collecting. If you aren’t sure if you are ready to get rid of your collection or not, spend some time reflecting on why you have it and what it means to you. Before I took my Pez collection down I took the photo above and a few other close ups. I wish I had a better camera at the time, but even that blurry picture is fine. A photo is a great and small way to remember a collection in its full glory. Take time to clean everything off, organize it properly and set it up for maximum visual appeal. Then make sure to get some good lighting and snap your photos. It is highly unlikely that anyone thinks your collection is as valuable as you think it is. Your emotional connection to the process of collecting inflates the value of the objects in your mind. You are going to have to get real with yourself. Do your homework and figure out what the real price is any what realistic possibilities are for the near future. If you are having a hard time reconciling the fact that you have spent a lot of money on the collection that you viewed as an investment and will likely never see again, consider these two things. First, the sunk cost fallacy – look it up. Second, hack your brain by telling yourself that they money you spent on the collection was the cost of entertainment. Have you ever spent $10-20 to see a movie that lasted two hours? Did you feel bad that you left with nothing physical, only a memory? No, of course not, because you were paying for entertainment. Consider the good times you spend collecting as entertainment where the amount you paid was the cost of admission. If it totals to less than $5 an hour, you’re doing better than movie tickets. I often hear about people keeping things in some awkward middle state between enjoyable collection and investment. The two are very different. Some collectors items do in fact make great investments, like certain Lego collections. If you believe your collection will be valuable in the future, treat it like an investment. Everything should be kept in pristine collection, likely in an oxygen & UV free storage container. It should likely not be handled, which would only harm or risk harm to the investment. If it is an investment, you should likely be managing it in some sort of professional manner. If you believed a certain Lego set was going to be worth 600% more in a few years, you would not buy just one, you would buy as many as you could, store them somewhere safe and monitor the market for the right time to sell them. What is more likely is that you have a bunch of random items in a box (or boxes) on a long shot that they will be worth a ton some day. Stories of such things happening to others has fueled this skewed perception. The cases where this is true are very rare, and statistically not worth the cost of the bet you are making. It might seem like a free bet, but in reality you are paying for that box, the square footage it takes up, the time it takes to move them periodically when you need to access something else or relocate altogether. What is most likely is that you are just burdening yourself with a box that is, from an investment perspective, not worth anything now nor later. If you have decided to part ways with your collection, you’ll need to figure out what the best way to move them to their next destination. If you spent a lot of time buying or trading items with other collectors, you probably have some idea of the going rate and best marketplaces. For Pez it was easy, ebay is a great marketplace that for a long time claimed it was invented thanks to Pez (whether or not that story is true is contested.) If you collect some sort of specialty item, like dinosaur bones, you might need to use private auctions. Finally, some things have no market, in which case the trash can might be your best option. If you are emotionally able to do so, just do this right now. It will be the fastest option. Go for speed, even if it means you leave something on the table. Sell it, donate it or trash it – whichever one makes the most sense based on the items. I suspect you’re reading this because you’re having some trouble with the emotional aspect of things and the process around it. So I have come up with a series of steps to help you. If at any point in the process, you are able to get rid of the whole collection, opt for that. In lieu of that, these steps are helpful ways to make progress over time in smaller, more easily digestible steps. Your first step is to stop adding to the collection – it is hard to get rid of something if it keeps getting bigger. If you’re having a hard time going cold turkey, I found one easy way was to focus on a subset of the collection that I would limit my purchasing to. With Pez, the dispensers come in the shapes of various characters – my favorites were superheroes, so when I hit this point, I limited my purchases to those ones. If I saw something non-superhero I was able to pass it up. Try to think about a segment of your collection that you like the most – remember this because we’ll use it later on too. Once you stop adding to your collection, you will likely still have other people adding to it for you. If you’ve collected for any length of time, and depending on what it is you collect, you probably have friends that get things up for you as gifts. Pez are a really common and inexpensive thing, usually found in check out lines for ~$1. During the years where it was well known by people in my life that I collected Pez, all sorts of people brought them to me when they saw them – often cool ones from different countries or limited regional releases. It was great then, but once I decided to stop collecting, it was something I had to slowly wean. I found time helped – right after someone got you a gift isn’t the most tactical time to let them know you aren’t interested in that thing anymore. With Pez they are inexpensive enough that it wasn’t a big deal, so my usual reaction was gratitude and a casual comment that I had put the collection away. Over time the message disseminated. It can take a while though. I haven’t bought a Pez dispenser in about five years and just recently my friend Gretchen got one for me that she saw while checking out from a grocery store while we were in New York running the NYC Marathon. I’m not actually sure of the best place to put this step. Perhaps you would find it easier to do this first. Perhaps it is the last thing you will do. For me I had an advantage that I had moved a few hours away from home where my collection lived. It was far enough away from me that it wasn’t in my face every day, but it was still set up when I went home for holidays. Eventually home shifted from where I grew up to where I lived and I packed it up into storage. Looking at a collection and thinking about it every day will not help you move past it. You will also want to stop frequenting collector sites, put away the collectors price books, avoid conferences, etc. The more you expose yourself to people and ideas that place that type of collection in high value, the harder it will be to move past it. When I was collecting, I had a decent supply of duplicates sitting around. Sometimes I would find an old Pez dispenser in decent condition but later find one in like-new condition. I wouldn’t throw out the decent one, but it didn’t sit on display. Sometimes I would trade these for something I didn’t have, but essentially they were just building up. You can get rid of duplicates by whatever marketplace you identified as best from tip 4. I sold my duplicates on ebay as one big collection of ~50-100 pieces because I didn’t want to deal with listing them one by one. If any of them were particularly valuable, I might have singled them out, but overall I was ok with the market valuing the whole set, knowing it would save me time individually wrapping, coordinating shipping addresses and communicating with hundreds of buyers. Again, Pez dispensers go for an average of $1 new, and the most valuable duplicates I had were in the $5-10 range. The story might have been different if I collected dinosaur bones. This step won’t seem that hard because, your collection count isn’t going down. At the same time, it is a great way to practice the motion of getting rid of things while also tuning up your selling skills. To me, these things weren’t the real deal, but they were there, added something extra to hunt for during dry spells and were enjoyable enough. If found that getting rid of these next was achievable once I got rid of duplicates. This would be the first time the collection itself took a hit. I found that this was a critical step for me, I quantified my collection by count of items (as opposed to quality or value) so taking a hit here was a big deal. I knew it was reversible, and I knew that technically the items I was getting rid of weren’t core, so I could tell myself that even if I changed my mind and wanted to collect again, my new count was really a truer one. This is important, as I make progress, I find I have to make deals with myself or sometimes trick myself. I always tell myself there is a reverse course if I change my mind. In this case the thing I am telling myself is that if I decide to collect again, I will still have my core collection and can collect only core items – which would probably be better anyhow. This is how far I’ve gotten with my Pez collection currently, the future tips are based on some other collections I’ve successfully gotten rid of. I found that ‘the collection’ was a big immovable thing, but individual items were not. What I mean is that if on any day, one of my Pez had fallen and broken, I would have been ok – most of them were quickly replaceable minus a few special or rare ones. But the collection as a whole was this thing I couldn’t move, like a giant rock. I solved this by breaking it into pieces. Start with some of the items that are easiest to replace. You can tell yourself that you are going to pass them along to see how it feels and that if you need to, you can repurchase them again. You might even want to favor newer items, since you have the least attachment to them. I found that with each part of a collection I get rid of, the gravity of the whole collection gets smaller. It becomes easier to process the items as individual items rather than as some sacred & monolithic ‘collection’. As you reduce your collection you will begin to mentally draw a smaller and smaller circle to define what it is that you want to keep. Back in step 1 we talked about finding a subset of the collection that you particularly liked. As you whittle it down, your circle might eventually include just these items. Thinking back to my comment in step 4 about tricking myself or making deals, the reverse option at this point is that you could always decide to keep collecting, but to only collect this specific subset. That will probably seem nice to you since this is your favorite subset and it is going to be smaller and less unruly than the world you collected in before. Along with your defined subset, you might keep a few favorites. Maybe your first item, some that were particularly rare or special items with significance. That is fine, you can define your circle, how you shape it doesn’t matter, what it important in this step is that it is getting smaller. As you continue to pare down your collection, defining a smaller circle and getting rid of items from outside of it, the next major milestone will be to get down to just one item. Your goal will be to pick one item that for you can represent the whole collection. What one item personifies everything? Or what item is the most special to you? If the collection made up a significant part of your life, that one item will now carry the significance of all of that with it. This is a fine place to finish in my opinion. One item, depending of course on what it is, won’t take up a lot of space, but is nice to have if you ever want to re-experience the tactile aspects of your collection. In the future, you can look back at this one item and the photos you took and remember the full joy the collection brought you. If you decide that you don’t want to keep even that item, or logistics necessitate getting rid of it, this is your final step. My advice is to verbally thank the item for the enjoyment you and the collection experienced together. It is silly, since the item is inanimate (hopefully), but the verbal acknowledgement can do a lot to help you mentally process getting rid of the last item. There is something more significant to words said out loud than words that are only thought, they are more real by the fact that they are externally observable. For all of the fun and future possibility that collecting once presented us, the mental and emotional connections created often make it hard to part with the physical items of the collection. I hope these tips and steps can be helpful to someone else, I will certainly be referencing again, I still have some work left to do. 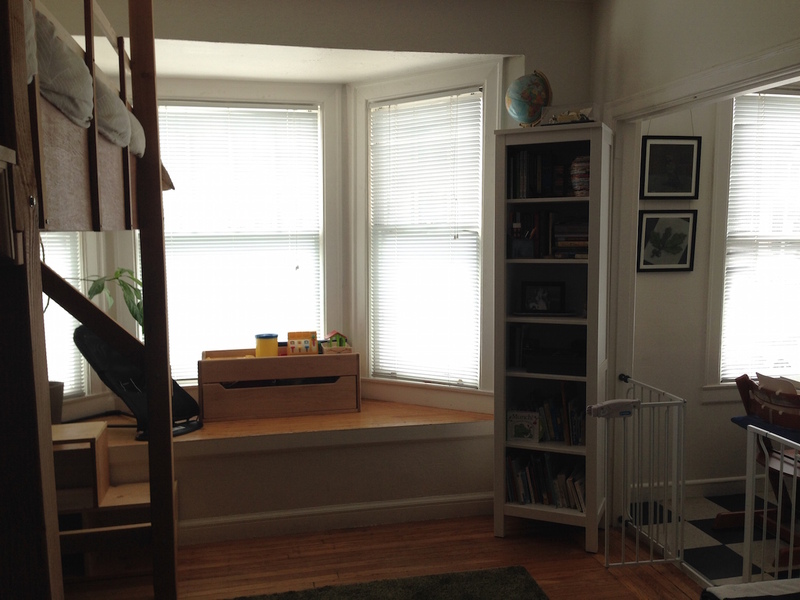 Being the aspiring minimalists we are, my wife and I brought our first child home to our small apartment that had very few baby toys in it – everything fit in/on a toy box that sat on our bay window seat. Our first apartment with the toy box on the window seat. Over the three years that followed, despite our best intentions, our house has accumulated many more toys. Though they are individually great – the trouble with toys, as is the trouble with most things, is that their value does not scale linearly. More toys does not equal more fun or more learning. There are diminishing returns. Eventually even negative returns where more toys results only in more mess, stress and frustration. This is almost all of our toys, spread out on the floor. It was really overwhelming to me to see it like this. A knee-jerk reaction might be to get rid of most everything – to go full minimalist. While that reaction will provide some benefits, we feel it would be throwing the baby out with the bath water. We are attempting to get the best of both worlds via a toy philosophy and rotation process that I will describe below. I should mention early that toys are just one of the ways our children spend their play time (time excluding sleep and meals). As we thought about it we realized it probably only makes up ~15-30% of their time – variance by age & season. Books, crafts, outdoor activities, indoor physical play (wrestling, dancing, etc. ), talking and simply looking out the window make up the rest of the time. Screen time is negligible. Since this post is focused on toys, however, it might seem as though they are a more significant part of our life so I wanted to include that comment. Now I will set some context for the world toys exist in and the purpose we intend them for. Here are three sets of factors we kept in mind while creating our optimized solution. In the Kroleski Family we view it as our parental responsibility to teach our children the skills they need to thrive in this world and fulfill the mission they were created for. I personally think of it as having ~18 years to train a deep learning system before setting it loose on the world. This is a top life priority for my wife and me. She is a full time mom (+housekeeper) and even though I spend the majority of my day working in an office, child rearing is not an afterthought. They are an appropriate object to focus energy on – as opposed to something they shouldn’t touch, a vase, a knife, etc. They serve as tools to help us equip them with important skills and concepts – fine motor skills, cause & effect, creativity, focus, etc. They are fun and entertaining – which is a good thing in itself and also helps the parents be able to focus on other things at times. I should note here that I am limiting my discussion to toys. In our house this doesn’t include books, craft items (crayons, playdough, paint, etc. ), certain furniture-like objects (rocking horse) or outdoor gear (bikes, camping gear, etc.) – each of which has their own (though somewhat similar) system. 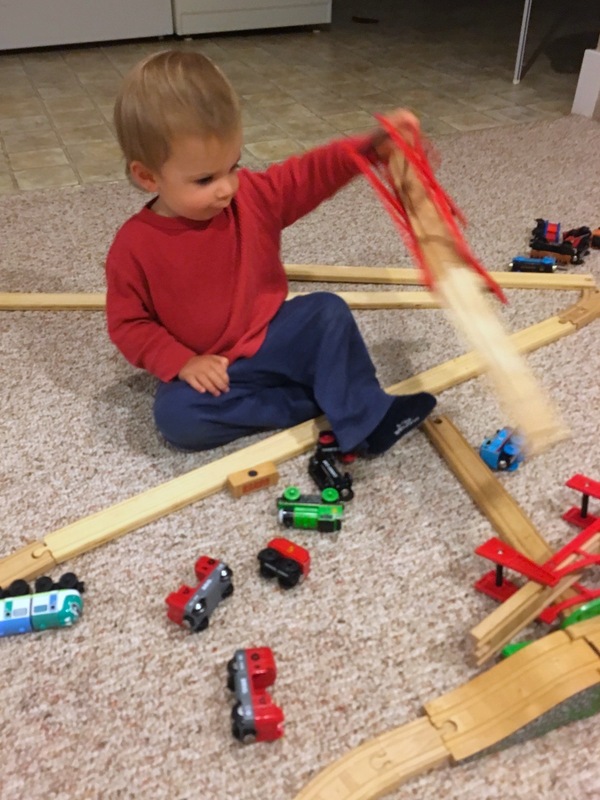 Children can become overwhelmed quite easily as they are still developing focusing & coping capacities – toys can cause this both individually and collectively through overstimulation. With the above in mind, we’ve implemented the following solutions. This is very much a living solution that will change as our children grow, we face new challenges, we bump into the limits of our current plan’s foresight and/or any of the factors above shift. We generally don’t view toys as something that are owned by/ associated with specific children. There are not “Hunter’s toys” or “Theo’s toys”. All of the toys in our house are items that we share. The only objects in our house that really have specific child association are their special blankets they each received when they were born. We do enforce the idea that when someone is playing with something, another person is not allowed to take it from them without asking. Sharing, asking and proposing trades is encouraged but ultimately temporary. This system of non-ownership is fine in the house and allows some nice benefits, but does start to break down when we are at the park as not all children have the same view about their toys. I am still working out how to resolve this but generally sharing principles apply while at the park and I work to make sure our children don’t go home with someone else’s toys. Toys are transient. The vast majority of toys in our house were once played with by someone else (including myself or my wife when we were respectively children), all of them will get played with by multiple siblings and eventually most will all find a new home where they can be played with. I believe this mindset helps develop a better relationship with ‘stuff’ while also allowing a more full appreciation of the specialness of the present moment. We don’t use toys as motivators. There is no concept of ‘if you do X you will be able to play with Y’ or ‘if you do X, we will get you Y’. I suspect this one gets harder as children get older, but it is something we plan to avoid. Theo enjoys the trains, but more in a Godzilla way. We do not use toys as a way to show our love. We do use them to some degree as means to facilitate play time together, which is how we do show our love. I am intentional around this topic because I think using objects as a sign of love can create a mental fixations on objects which can result in negative consumption behaviors later in life that are hard to break free of. We avoid making a big deal about new toys. I’ll describe our toy process more below, but new toys are generally just introduced into the fray unwrapped and ready to play with, the same way used toys or existing toys are. I believe that making a big deal about new ownership of a toy trains the brain to overdevelop stimulus pathways that will result in future desire to purchase things, even when those things aren’t needed. I want to help my children have grander motivations. We often supplement toys with non-toys that meet the same bar – rubber spatulas, measuring cups, delivery boxes, camping flashlights, pots & pans, etc. An example of the boys playing with non-toys. 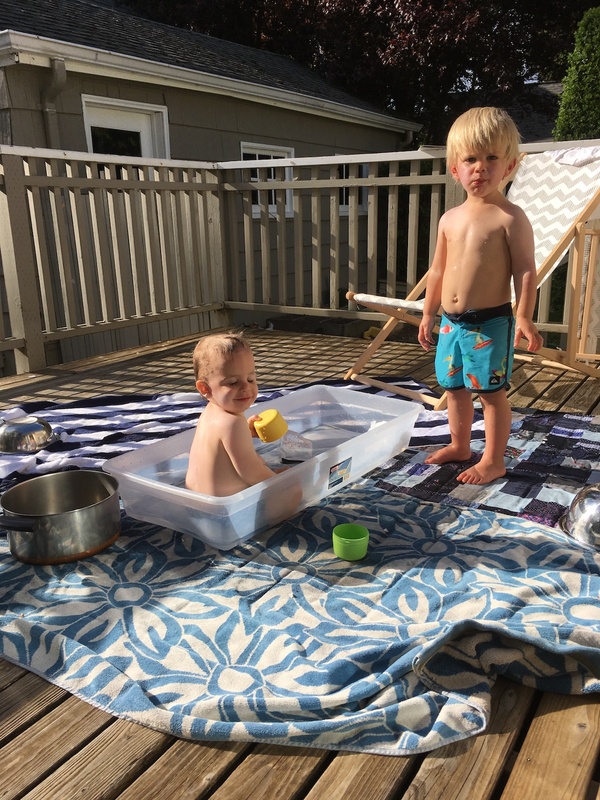 Water fun using our makeshift porch pool & some pots, pans and measuring cups. We prefer toys that do not make electronic noise. We are fine with whistles and drums, but steer away from beeping, singing and such. There are exceptions. The boy’s uncle created the first one with an electronic music box that played classical tunes. It doesn’t suffer us the experience of incessant, undesired or seemingly random commencement as most electronic-noise toys do, so it was granted stay. We generally maintain the less is better and so try not to have a toy if another toy already serves that purpose. We aren’t running 100% lean right now though. An astute observer might notice that there are over a dozen different balls in the picture above. Our middle child really likes playing with balls and we allow a bit more there because sometimes a specific size, shape, color, texture or bounce pattern will get extra engagement on a given week. We might thin it out eventually but haven’t done so to date. Maintaining a high bar on toy selection becomes difficult when faced with the reality of gifts – especially if you as fortunate as we are to have lots of loving and generous people around you. People close to us generally know our minimalist tendencies and try to respect them, which helps reduce overall toy input volume. We also work to try and redirect gift giving towards other things like clothes or focus it on specific types of toys we think are good. That said, sometimes grandma just really wants to get her grandson a certain toy and we practice mercy around this (to an extent). Because the boys get plenty of new toys from others, we rarely feel anything else is needed. I’ve now been a parent for nearly three years and have yet to buy a new toy. 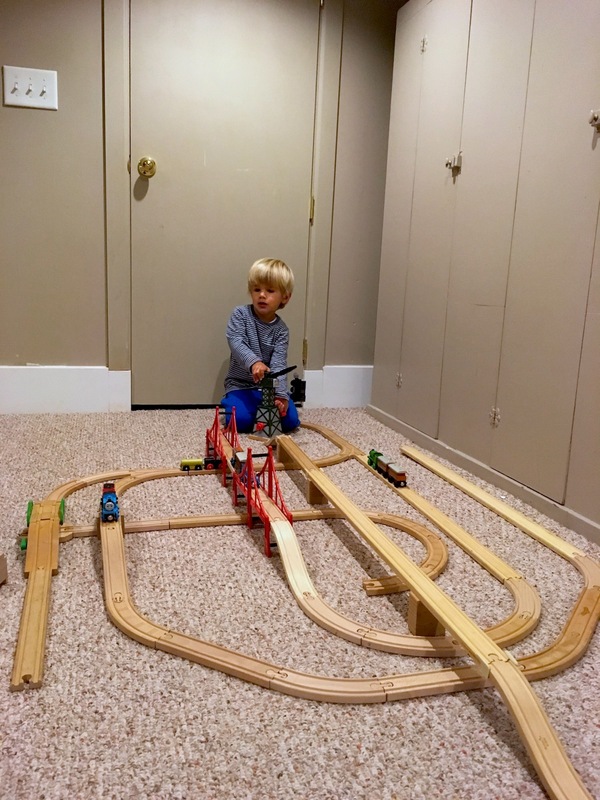 I did purchase that train set from someone I was buying a stroller from – the boys had enjoyed playing trains with their cousin, the price was amazing and I knew we would be able to create some crazy-fun track setups – I was right. One of our awesome train setups. I’ve only introduced about half of the tracks so far, the more complex pieces will come out as the boys get older and can use them. We practice a rotation process with toys so that only a small amount is available to play with at any given point. The closet in our basement store toys on one shelf & camping gear on another. The top shelf normally has our sleeping bags on it (unstuffed) but I removed them for this picture to help with lighting. On Sunday night, while the children are sleeping, one of us parents will collect the toys from the house and switch them with items from the basement. The process involves putting things away in zip lock bags by type to help keep things orderly – all cars go together as do puppets, etc. We then select a few new toys that we think will be good for the coming week – I’ll write more about the selection process below. On Monday morning the boys wake up to a fresh set of toys. It is sort of a special morning where they go to see what they have to play with for that week. It captures much of the excitement of what you might expect of a child on Christmas morning but in a way that seems healthier. A close up of a few of the items. I’m noticing now that everything on this table was a gift. 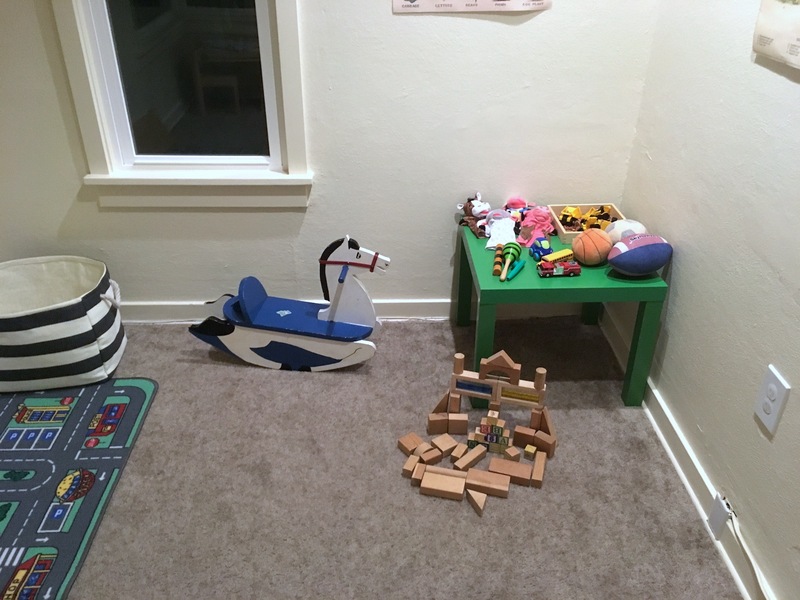 We have a strange alcove room in our house that we’ve deemed the play room – we put the toys out in there and they slowly make their way into the living room throughout the day before going back at clean up time before bed. 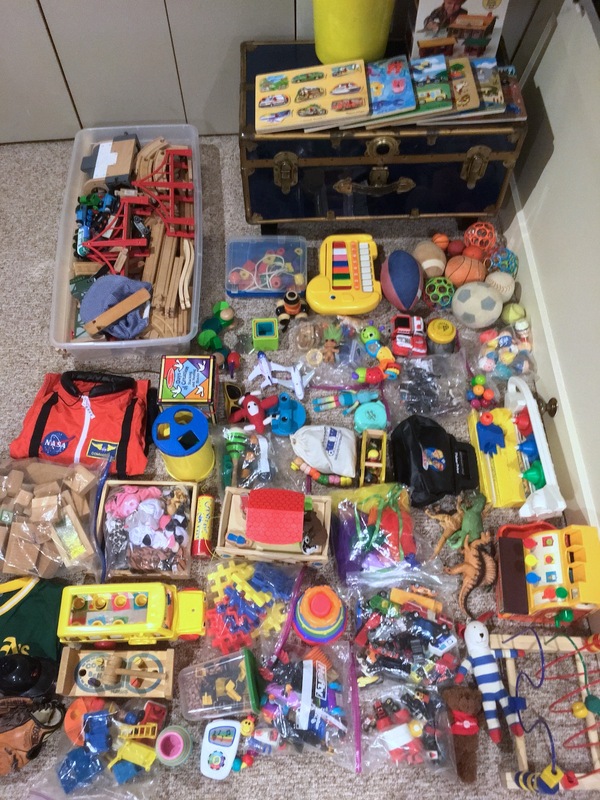 Here are two pictures of recent rotation to show you the amount of toys that get rotated in. We use that blue and white basket to rotate them and generally all toys go back in that basket at clean up time in the evening. Toys stay fresh. Since toys go away, when they do come back they are more appreciated. The amount of toys to play with at any point is limited, which helps encourage focus. At first we just grabbed a few things but over time we’ve become more intentional about what goes into a week’s rotation. We consider what the week will be like – for example, if it will be raining and we will spend lots of time indoors – what toys have been out recently, what might help stretch a child and what they have been interested in lately. We, informally, regard toys as being of different tiers. 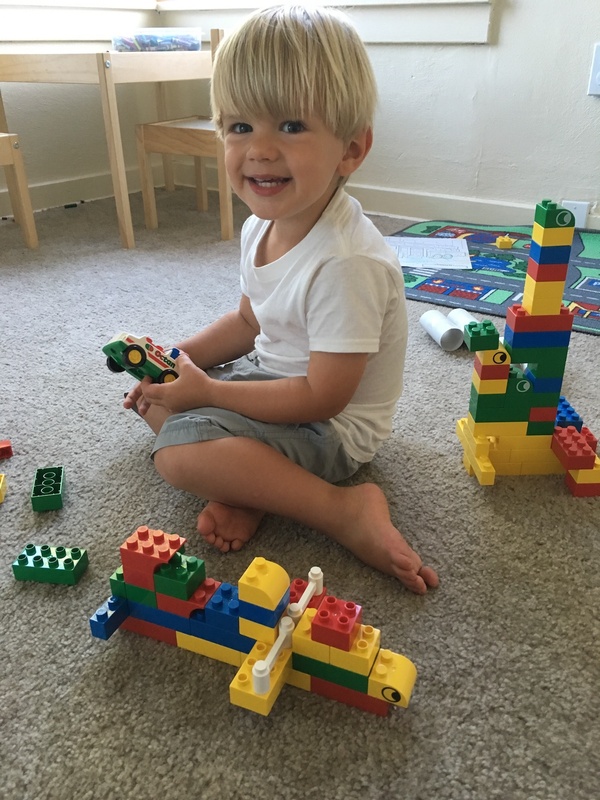 We always try to include one of our ‘top tier’ toys, such as the legos, wooden blocks or space tops. We also include a few other toys that are ‘middle tier’ and ‘bottom tier’ to help provide some diversity. 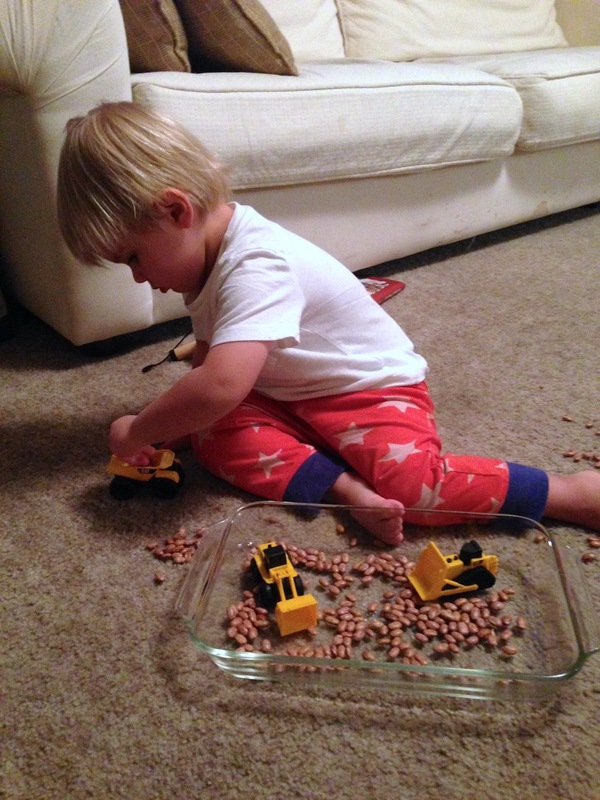 Toys will periodically get moved around based on the development of our children and how engaging those toys were. I also try to make sure there is something for each child. As I said above, we don’t really believe in toy-child association/ownership but I do know that each of my children has certain preferences. We also typically include a few experimental toys – things we aren’t sure they are old enough for or that they didn’t like previously. We want to see if anything has changed. To give you one example, I (somewhat selfishly) tried for a long time to rotate some of my old Star Wars action figures into the mix because I really wanted to do Darth Vader voices and such as I played with the boys. They never really took on but I kept trying every few months. On one such month, my eldest child, who was on an space shuttle kick, saw Boba Fett and exclaimed “It’s an astronaut!” That is now one of his favorite toys and I get to tell him all about Boba Fett (we focus on the astronaut part of things and not the killer-for-hire part). I have a ton of other anecdotes about times where a seemingly never played with toy became a hit for a reason I couldn’t have predicted. That is some of the reason I am ok having what I consider to be an exorbitant amount of toys in our house – you never know when one will catch on. 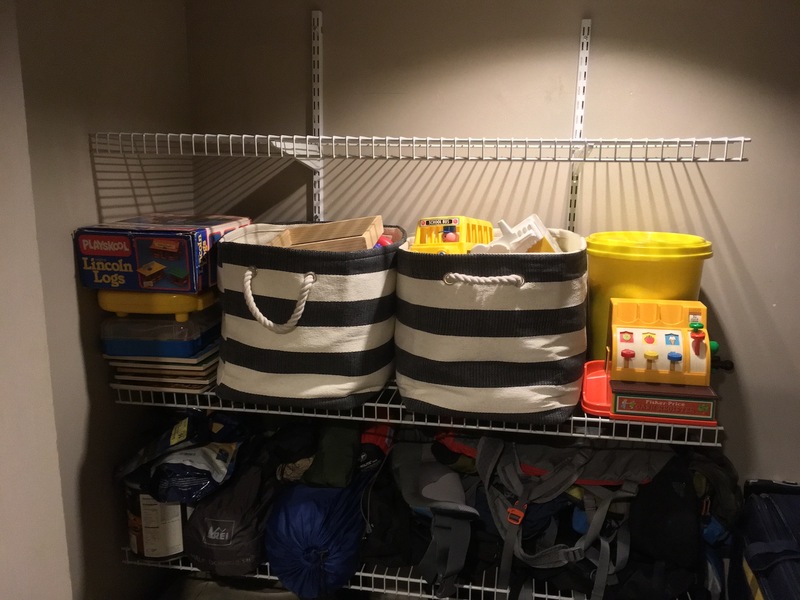 Thanks to the rotation process, the toys that haven’t caught on aren’t causing clutter in our living space, they are in storage space out of mind. We often put toys on ice for a period. That basically just means it won’t be rotated in. Some toys are great for a specific development state and sometimes we have no child in that state, so we might let a specific toy sit for six months and then introduce it gain. Toys can also go on ice if they become frustrating to either a child or an adult. Our space tops toy was a great family activity, we parents could launch the tops and the boys enjoyed chasing the spinning tops. Eventually our eldest wanted to launch the tops but didn’t quite have the strength, which caused a lot of frustration for him. We put it on ice for a bit until and then tried again after he had grown a bit more and he was then able to operate it. Putting it on ice helped ensure the toy is still loved while avoiding a frustration that we didn’t feel was of the productive/beneficial kind. Our eldest child, now 2 1/2, understands the rotation process and periodically asks for something specific. We’ve generally been encouraging of this as it helps teach him patience, delayed gratification and allows him an easy way to participate in a decision process that affects him. It also helps us make sure we create an engaging rotation for that week. Inevitably, there will be weeks where there are more toys at the end of the week than the beginning. Sometimes this happens because we get out a specific toy to help with a specific thing during the week, sometimes we grant a request early, sometimes a new toy is introduced to the house, and often we get out toys when company is coming to make sure there are enough and appropriate toys for whoever is coming over. We don’t stress over this too much, we know that it will only be a few days before they rotate back and we have a small amount again. In rare cases, there are way too many things out and we’ll put a few back. It is important, though sometimes difficult, to rest the best toys. Sometimes we want to leave the legos out for an extra week because the boys have been doing so great with them. I think that if you wait until a toy goes stale, you’ve messed up the whole system. I push myself to rotate it while it is still hot, bring something else in and then know that it will come back hot next time. Along with rotating toys from the basement, we do a fair bit of borrowing/trading toys with other families, mainly our in-laws who live near by. 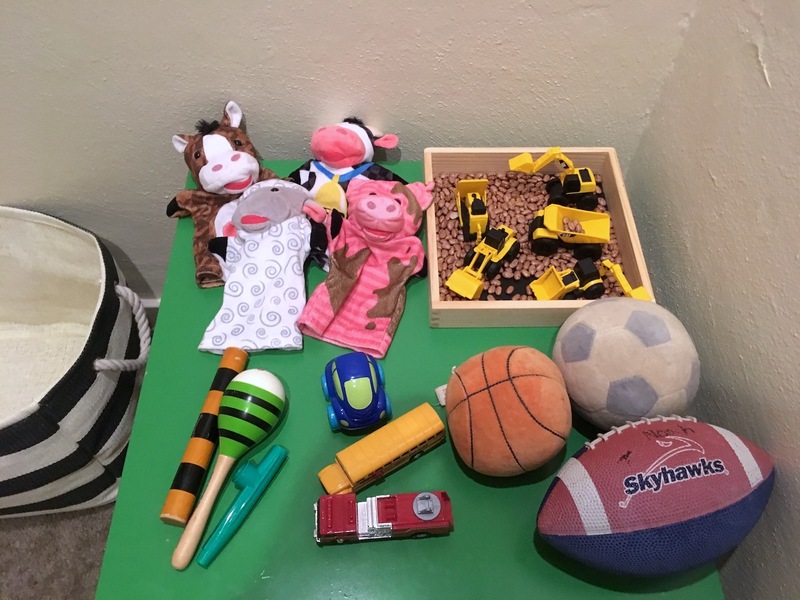 I find it especially easy since we already have an established practice of rotation – having random toys appear and disappear isn’t strange for our children, they don’t know the difference if the toys go into our basement or someone else’s house. Borrowing toys creates the same benefits as rotating toys in that it allows children to play with new things for a period. It has the added benefit that it doesn’t increase the storage space needed in the basement for you since you are drawing from a pool stored at other houses. I’ve heard about companies that are popping up in this space – I think that is a great idea. I’m not sure the business model is sustainable based on the availability & size, but if you don’t have friends with kids to trade with, a service is a great place to start. We have a few items that live in a specific place. The magnetic letters live on the fridge, the toy workbench lives next to my work bench in the garage, the water toys live on the porch in the summer and get put away in the winter, etc. A year later and I wanted to reflect back and share some updates I’ve learned since the original writing. In the philosophy section I mentioned a few things we’ve worked hard to fight for that are a bit unique. We now have a few toys that belong to a specific child, this is especially true of gifts during the period right after they receive them. We generally try to limit this and even with their specific toys, require sharing. Though we have tried not to make a big deal out of new toys, my oldest (almost 4) is now starting to understand the concept of gifts at birthdays and is starting to ask for things. We’ve directed that attention towards him being able to work to earn money to buy things he wants. Recently he earned a bunch of money helping do yard work which he spent on two sets of Legos, one for him and another for his brother (unprompted actually!). We’re encouraging of him learning the value of hard work and right now toys and sweets happen to be the best motivators. In the toy selection section I mentioned I hadn’t bought my children any new toys. There have now been a few more exceptions. There were some specific toys I’d seen them do well with and wanted to introduce but couldn’t find used, in these cases I’m find buying something new. Thinking of buying toys, I think of a true cost of toys in terms cost per hours of play. I’ve probably spent close to $300 on Magna-Tiles & Legos, some new some used, but those toys get played with 20+ hours per week and last for generations. Their true cost is actually much lower than some cheap novelty that will break after one day. You can do a similar calculation with storage size vs hours of play to see which toys are worth their space. It is also important to keep in mind the toy selection standards I mentioned above. The cheapest per hour and smallest amount of space is always free shows streamed from a tablet but using that as the only (or even primary) source of entertainment for kids doesn’t live up to our standards. The only thing I updated about the rotation process is that I changed it to Wednesday. I found Monday was the easiest day of the week for my wife because the kids were worn out from a fun weekend and she was fresh from having me be around to help. Wednesday rotations helped get over the mid week hump. 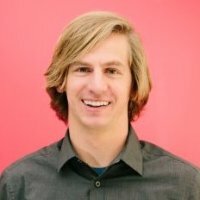 A few months ago I gave a presentation on minimalism as part of my company’s ‘Hearsay Talks’ series. I wanted to share the general themes here in written format. It is not about less of something. It is about more of something else. You give up things so that you have more room for something else. We each only have 168 hours in the week – our lives are finite. If we want more of one thing, the only way to make that possible is by having less of something else. From 2012-2014 I lived in a 400 sq/ft studio apartment with my growing family. Because of the time and money we were saving, we were able to spend much more time pursuing outdoor activities we love – including some of my challenges. That was our way of having less of something (housing space) in order to have more of something else (outdoor time). With that in mind, here is a simple mnemonic I made to help remember six minimalism tips designed to focus on what is important: S.T.O.K.E.D. I’ll list them each here and then discuss each in more detail below. Simply put, too many of the things that we have in our homes are neither useful nor beautiful. They are things we don’t want to look or use but can’t part with because they are emotionally tied to some person, place or period. They go into storage. We Americans have so much stuff that we can’t even fit it all in our huge houses. In fact, so much that storage rental units in the United States have a combined square footage of four times that of Manhattan. Memories are important, but our lives don’t need to accumulate items in order for those memories to have value. We can remember things in other forms. Perhaps fewer items, of which some are useful or beautiful. A few of my grandfather’s tools still serve me well, as does a painting by my grandmother we have hung in our dining room. Another option is to take pictures of certain items or the events and people themselves so you can look back at them to remember, rather than using a souvenir for that purpose. One of the areas I’ve found is hardest to do this with is gifts that other people gave you that you know you don’t need, but can’t part with due to the fact that it was a gift from a significant person. One thing I’ve done is to take that item, look at is as a method for the person showing you their love and then accept all of that love out of it, so you can then part with the item. It might sound hokey – but remember, there is a mental reason that you can’t part with the object, so there should be a mental solution to help you. Often, who we are today isn’t exactly who we were a few years ago. Perhaps our hobbies have changed, or our life state. Our possessions should reflect that. We should part ways with things we no longer use in order to better reflect how we actually spend our time. By doing that we allow our lives to be more streamlined and less burdened down by items we don’t use often but still have to navigate around, clean, look at, etc. One of the worst offenses I often see is the ‘aspirational purchase’. The idea is that by buying some new thing, you will then change your life to do more of the activity you wish you did – perhaps running or playing the guitar. This often results in a person that still doesn’t do the activity, but now has some extra objects in their possession and a bill to pay. Instead make an agreement with your future self – rent or borrow the items you need and if the habit sticks, give yourself permission to get the items that make the activity enjoyable for you. In fact, you might learn that your initial purchase isn’t what you would actually want once you become proficient. This item is one that I borrowed from the book, ‘The Joy of Less’ by Francine Jay. I highly recommend that book. At a certain point in your life, the amount of objects you have should reach a maximum. If every item in your life serves a purpose, most new items you might get will be taking over the purpose of something else. So as one item comes in to your life, another should leave. For example, if you have a bike that you ride to work and you get a new bike, that previous bike no longer has a purpose and so you should pass it on. Often people accumulate items because they invent new purposes for items they have. Perhaps they keep that old bike as a backup or in case guests come. It is important to ask yourself why you have been able to make it so far in life without a backup bike and if you really need one now. It is likely that you don’t. There are some cases where an object serves a new purpose though and that is ok. Perhaps a new purpose arose in your life, like the need for a tent because you recently took up camping as a hobby. In this case, the one in – one out tip still applies, you will just have to think a bit more about what you’re trading. You still only have 24 hours in the day, so if you have now taken up camping, you likely gave up something else in its place. You had to give up time to find a new hobby and as such you should also give up stuff. Whatever camping took the place of should be the area you look to find something to pass on. Perhaps you are taking up camping on the weekends instead of playing golf, so for each item of camping gear that comes in, a similar item of golf gear should go out. While discussing the topic of getting rid of items, I would be remiss if I didn’t mention a few thoughts about this. I view it as my responsibility to find a new home for every possession I have taken ownership of. Natural resources are precious and it pains me to think of items going into the landfill. An easy option is to sell the item to someone that wants it. Anything that fits in a medium box and is worth more than ~$5 I list on eBay and anything larger than that and worth more than $50 I sell locally on craigslist. I donate everything else that is useful to a local charity. Some things end up in the trash still, but I try to limit that. Happiness is reality minus expectations. If you set your expectations too high or on the wrong things, achieving them will become impossible and you will be miserable even if your reality is pretty great. We live in a world where there are a lot of ways to raise your expectations. Advertisements, in an attempt to show the benefit of their product can create an expectation that their ‘solved’ state is how life should be. Social media shows us the best parts of the lives of the people we know – their vacations, purchases & achievements. Fiction and even semi-fiction in the movies and TV often presents us with people who seems to always be experiencing something fun and exciting. The people you spend your time with and the things that they value will also affect your perception of reality – they might spend more money than you on possessions (whether or not they can afford it) and that can affect your expectations about life. I like the wording ‘information diet’ to describe what inputs you accept into your mind. I am not suggesting you cut those all off, but simply to be aware and intentional. I personally try to keep pretty tight control on mine – I don’t spend very much time with any media that has advertisements – tv, magazines or certain websites – and I also take steps to make sure that I am pulling in information rather than having it force fed to me. I also carefully select who I spend time with and let influence me, making sure I balance various aspects that are important to me. I mentioned above in the tip about memories that many items people hold on to were gifts from someone they care about. One way to help that particular problem is to go straight to the source. I’ve found that in a world of same-day-delivery, it is very hard to get people something that they really need but don’t already have. The solution we have in our family is to focus our gift giving on experiences and consumables – neither of which will linger and collect. For experiences, some great examples include; tickets to concerts or events, a nice dinner out or a weekend away. Since we got married I get my wife tickets to something every year for her birthday. We’ve been to the symphony, the opera, the ballet and a concert so far – all of them were memorable nights and none of them crowd up our closet now. For consumables there are plenty available. Last Christmas I got my wife some scented soy candles. She could think about how nice a gift it was each time she lit them and then once they burnt out there was no lingering item going into storage. Other examples include makeup, perfume, a nice bottle of whiskey, etc. I’ve also found that food is a great gift. For my birthday this year my aunt had bagels delivered – it was a pleasant surprise to not have to think about breakfast for a few days. One of the reasons people end up having so much stuff is that they want to enjoy the benefits of using those items. Sometimes, however, it is possible to enjoy the item without owning it. That can often even be more enjoyable because there is less worry about selecting the right item, maintaining it, transporting it, etc. You might have heard of the term ‘sharing economy’ which is often used to describe services like ZipCar & AirBnB where a person can make use of a shared asset that otherwise wan’t being used – like a car or bedroom. Those are just two examples, but you can find similar websites or apps for all sorts of items – power tools, bikes, surfboards, musical instruments, etc. Thanks to them, it is possible to enjoy certain items without having to own them long term. If, for example, you only go surfing twice a year, it might make more sense to rent a board from a neighbor using an app rather than owning it throughout the year. Along with these recent apps, there are plenty of more traditional ways to rent gear – rental shops or borrowing from friends. I snowboard & kayak almost yearly but have never owned either. I’ve found at my frequency of use, I can enjoy those activities more if I don’t have to worry about owning and transporting the gear. It works out great because both are in ample supply in the places I want to use them and I can make a game time call based on weather conditions – meaning I’m never carrying around a bunch of stuff I don’t actually use. Another way to get the benefits of an item without owning it is utilizing public assets. I’ve written before about how our family is a huge fan of local parks, libraries & community centers. A final pro-tip I’ll offer is what I call ‘renting from craigslist’, which is a slight derivation of a concept introduced by another author in this blog post. The idea is that sometimes you need something for a period of time longer than would make sense to use a sharing economy app or rental shop for, but not so long you want to own it for life. In these cases, you can simply ‘rent’ from craigslist. What you are actually doing is buying, using and selling the item – but because of the short(ish) period, and the fact that used goods don’t depreciate rapidly after their initial ownership, you can often sell the item for exactly what you paid for it – thus renting it for $0. There is some overhead in finding and buying the item and then again in listing it, but this is a skill you can get very efficient at. I’ve used this technique with great success on some triathlon training equipment, surfboards and even a trailer. I’ve known people that did it effectively with cars as well.